With blessings of Acharya ! Women health camp has been conducted on 21/04/15 at cherlavancha (V) sircilla (M) with co-ordination with chalmeda hospitals. 184 ladies attended the camp in that 15 are referred for VIA positive and two are referred for uterus surgery. Dr.Srikanth and his team contributed their valuable time and service. 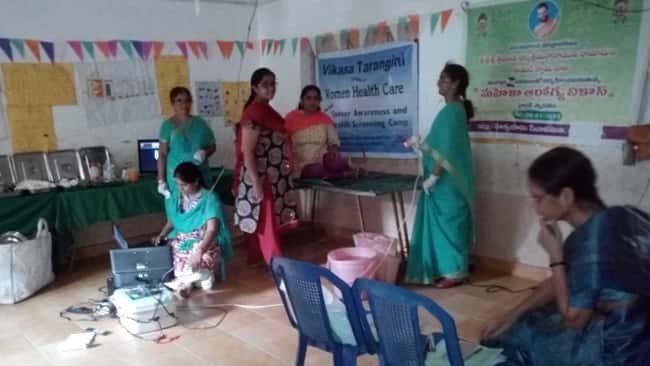 Village sarpanch, MPTC, Vikasa Tarangini Sircilla division incharge T.Srinivas and Volunteers gave their services. This is great service you are all doing to keep the local communities healthy. God bless you and encourage your teams of volunteers. 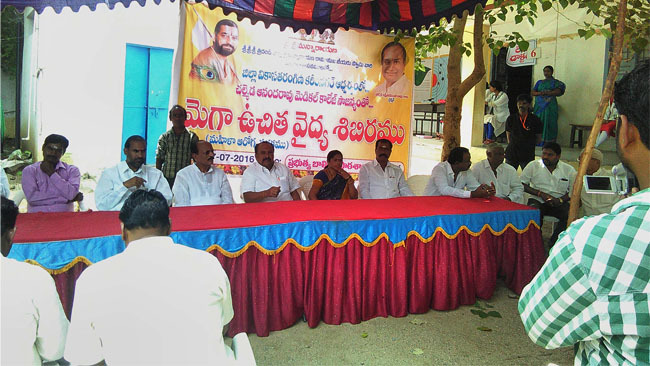 Mangalasasanams to Sriman Lakshmi Narasimha Rao garu for his constant help in these services. We are sure that you people are uploading these in Jetworld face book..